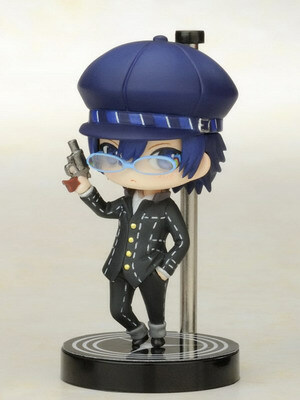 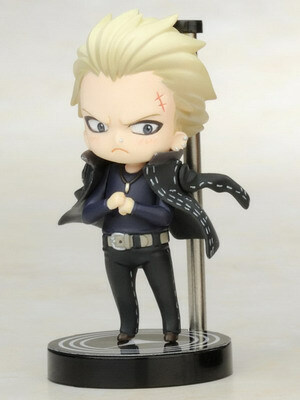 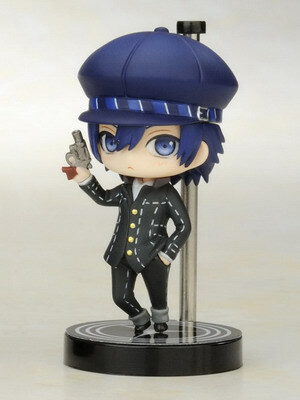 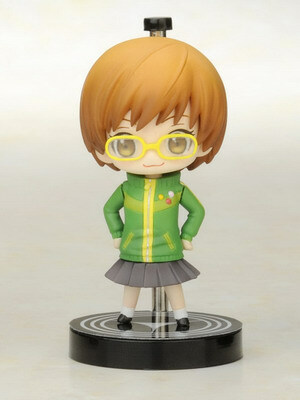 January 20th, 2012 By: GGT Category: 2012/06 release, Figure News. 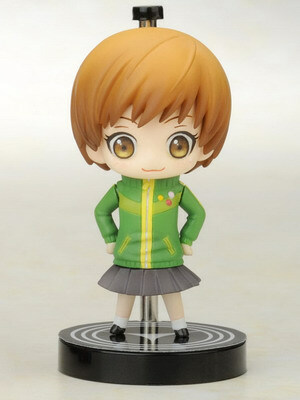 Kotobukiya is going to release the One Coin Grande Figure Collection Persona 4 ( ペルソナ4 ) trading figurefrom the Playstation 2 game “Persona” series and anime “Persona 4″ ( ペルソナ4 ). 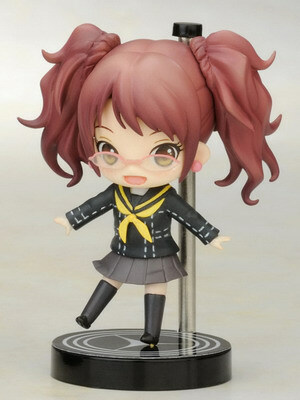 Will be released in June 2012. 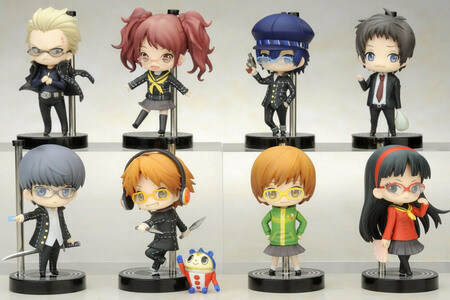 Around 50mm-55mm tall, 680 yen each ( 6,800 yen for a BOX of 10 pieces). 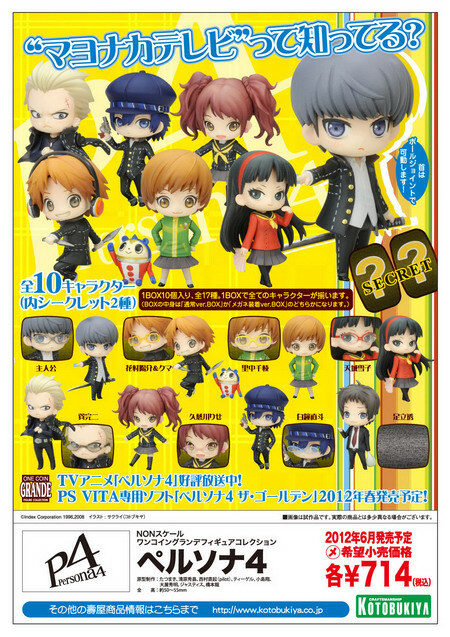 17 kinds + 2 secrets in total. 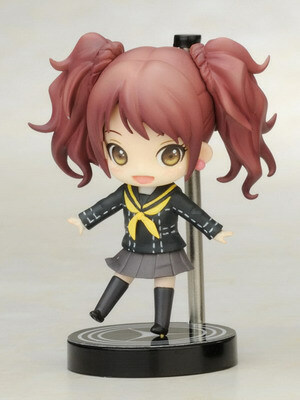 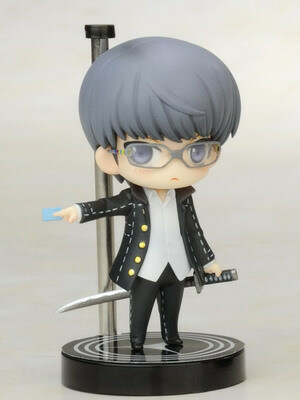 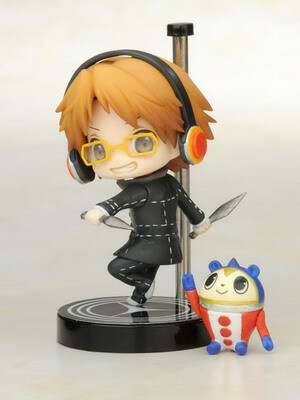 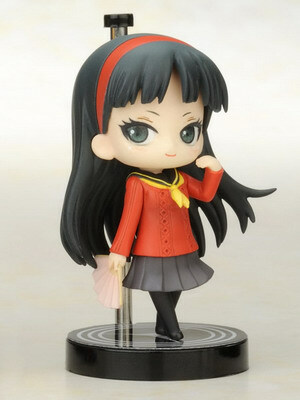 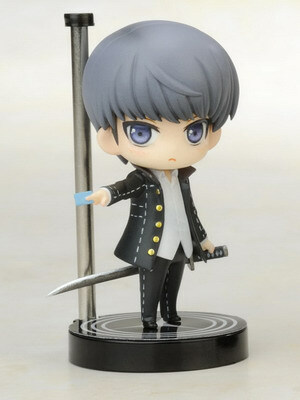 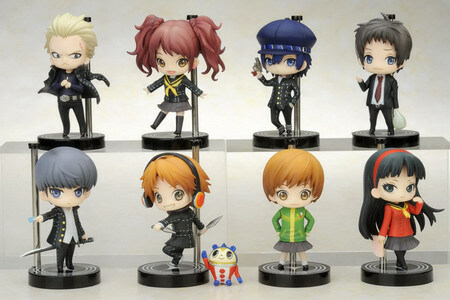 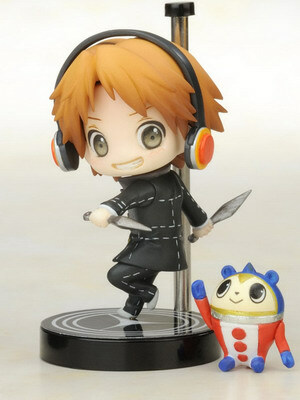 These little Persona 4 trading figures are really cute! 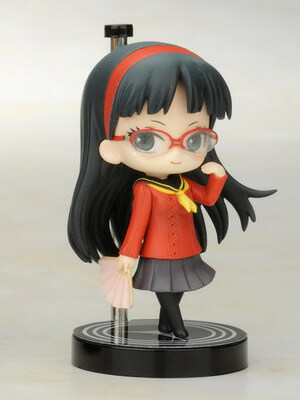 Especially with the little glasses. 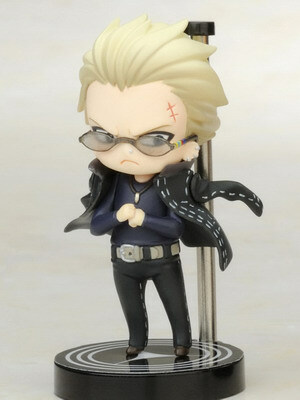 But the bad news is the glasses are not come with every box of trading figure. 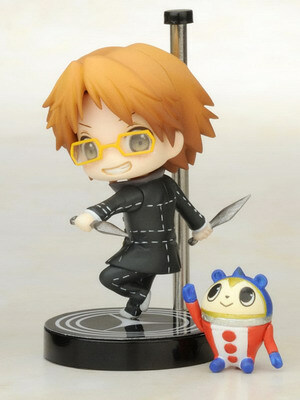 Yes, you either get it with the character or not. 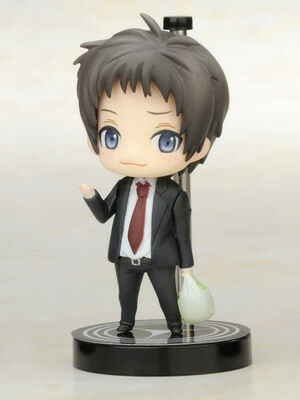 Beside Adachi Toru and the 2 secrets characters, all of the 7 characters come with with/without glasses version. So that’s how it makes up 17 kinds + 2 secrets in total.